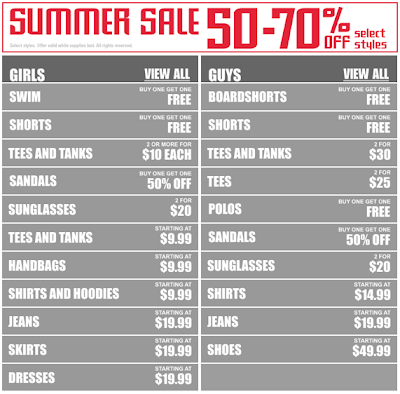 Pacsun has launched their big summer sale for 2009. For the next couple months, head to Pacsun.com to receive discounts as deep as 70% off. Be sure to tell your friends about this one. Somebody's gonna love you for it. And we're all gonna save cash and dress a lot more stylishly. Even at the beach. Word! ;) Thanks and Enjoy!